Sweetly Scrapped: 1000 fans on facebook! Now for the giveaway!!!! 1000 fans on facebook! Now for the giveaway!!!! Prize: 125+ tags (I stopped counting at 125, lol) Some are blank, some are stamped, some are hand aged, some are ready for you to create! There is quite a variety!!! Leave me a comment with your name below. and announced on facebook, between 8 and 9pm. I'm a new fan, but I have fallen in love with your blog. You rock! Congrats on 1000 followers Emily, I'm not surprised at all! Great work and a sweet personality speaks for itself! Congrats Emily! I knew you would reach it and beyond! Because your AWESOME! Congratulations on reaching 1000 fans!! Love your blog and the tags you make!! Congrats !!!! 1000 fans is so awesome. Julie Shearer. It just blows my mind all this fabulous creativity! Beautiful blog and awesome tags! Congratulations!! Congratulations!!! I'm a fan for a little while now, and I'm always inspired by your work!! Congrats on the 1K mark! Of course, I am not surprised - excellent blogs get excellent fans! 1000 ~ So well deserved ~ your blog is incredible! Congratulations! Your tags are the best! Yay!! 1000 fans is so exciting! Congratulations!! (left my name out) so proud for you ! Love the tags - and you always have the best inspiration when mine won't work ! Congrats on reaching 1000!! :) I am so glad I pinterested right to your blog! I can't believe more people haven't commented... Thanks for your inspiration! Congrats! Thanks for the chance to win! Congratulations! 1000 fans is quite an accomplishment. congrats on your success!!! 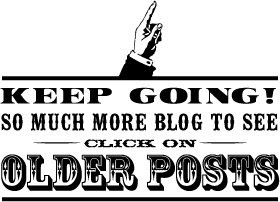 Love your blog and fb! Happy Dance for you!! Love your website and tags -- crossing my fingers! Congrats on 1000 fans!! You so deserve it, your tags and ribbons are great!! 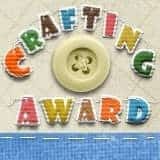 I always fine something (or many somethings) I want in your etsy shop!! Congrats on 1000 fans and many more to come. OH man! 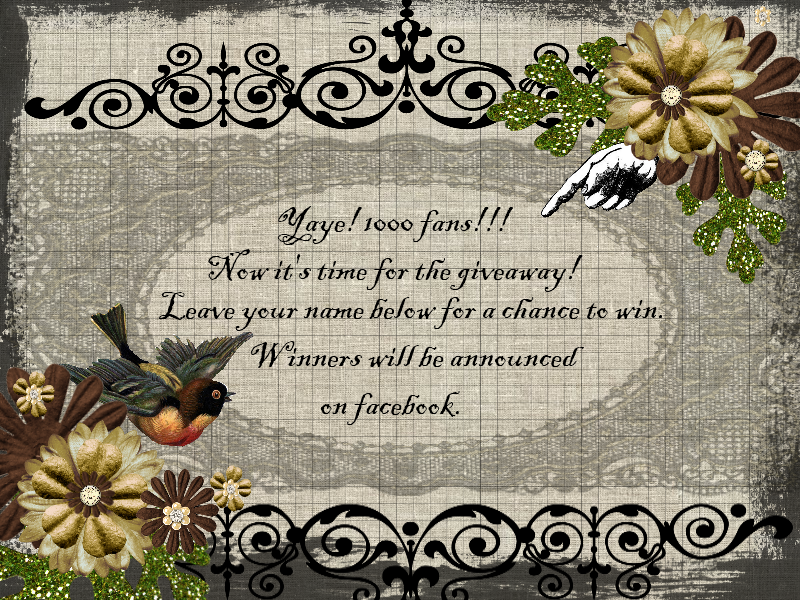 I waited for you to reach 1000 fans just to have a chance to win a few of your beautiful tags. But I told myself to do all of my work this weekend before playing around online. Look what happened. You reached 1000!. COngrats. I missed the giveaway. :( Next time. Thanks for doing this and for uploading all those freebies.